This article is based on the talk given at the USDF/USEF Young Rider Graduate Program held in January 2014 in Wellington, Florida. 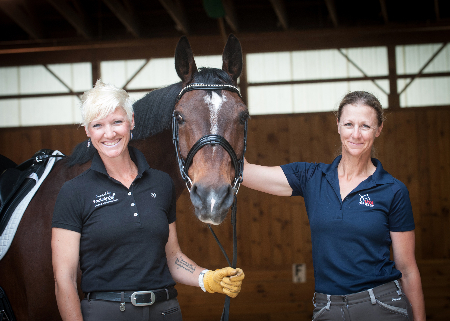 Whereas TDF President, Beth Baumert wanted to talk about The Dressage Foundation grants available to young people, she couldn’t help but put herself in their shoes and think of what she wishes someone had told her when she was their age. Here is the substance of her talk on what happens to money--personal money and TDF money. People who are financially responsible “earmark” money that they earn. That is, they categorize expenditures into what you might call “buckets” of money. I like to call them buckets because it sounds like you have a lot of money even when you don’t at first. •	One bucket of money is for your necessary, fixed expenses. That might include your rent, your groceries, your phone-internet bill, fuel for your car, insurance, taxes and other expenditures that you consider necessary. •	One bucket of money is to save for something important. Maybe you know your car may only last two more years so you’re saving for the car you will need in the future. •	For developing professional riders, a training program is another necessary expense. You need to put aside some funds for your training. •	One bucket of money is to give away to a cause that you’re passionate about. The universe gives to those who give. I’m not sure how that works, but I’m old enough to know that it works. It’s a Law of the Universe. I’m not saying you should give to TDF (although that would be very nice), but you should give to some cause that’s greater than you. Don’t make the mistake of thinking that you can’t give enough to make a difference because even if you start out by giving away $25 a year, that’s something. That means you have designated a bucket--even though it may be small--of money to give away for a cause that’s greater than yourself. •	One bucket of money should be for you to save forever for your retirement. It seems ridiculous to think of that now, but later I will give you a very compelling reason to start now. My favorite quote about personal finances came from a young person who said, “If I’m financially fine right now, and I’m fine for the future, I figure I’m totally fine.” That means that from the very beginning, you save for your future; you pay yourself by starting to save when you’re very young. That’s especially important if you’re going to pursue a career that is financially challenging. Training horses definitely falls into that category, so I want to talk about saving for your future again later. •	TDF investment advisors invest the funds in the traditional way: In stocks of solid, respectable companies, in bonds and in CDs. •	TDF awards prizes and grants to worthy recipients, and that’s an investment too. 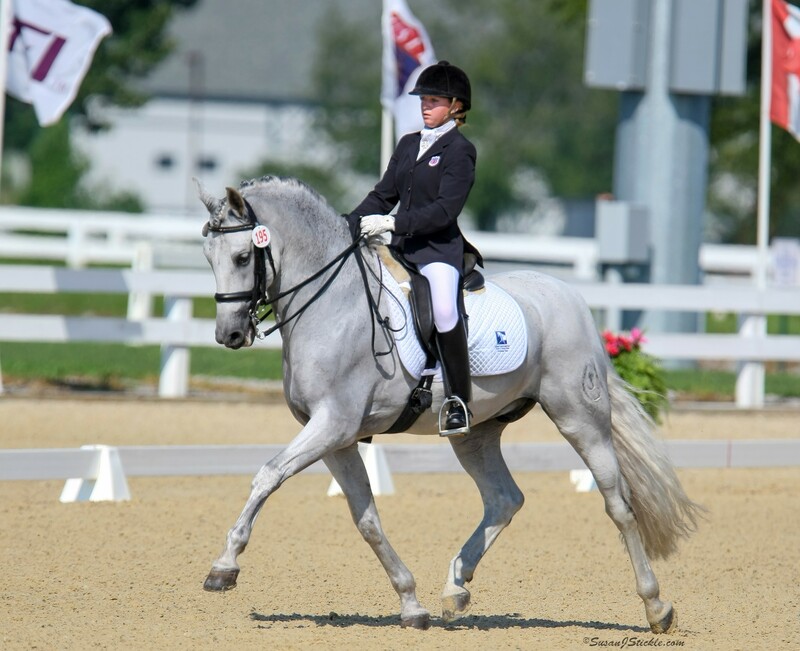 For example, when Catherine Chamberlain (AZ) was chosen for the International Dream Program (formerly called Olympic Dream) in 2012, TDF made a good investment because when Catherine came back, she spread the word about what she learned; she rode better and taught better than she would have if she hadn’t gone on that trip to Europe. As a bonus, Catherine has done fundraisers for TDF, and she has given back financially too! 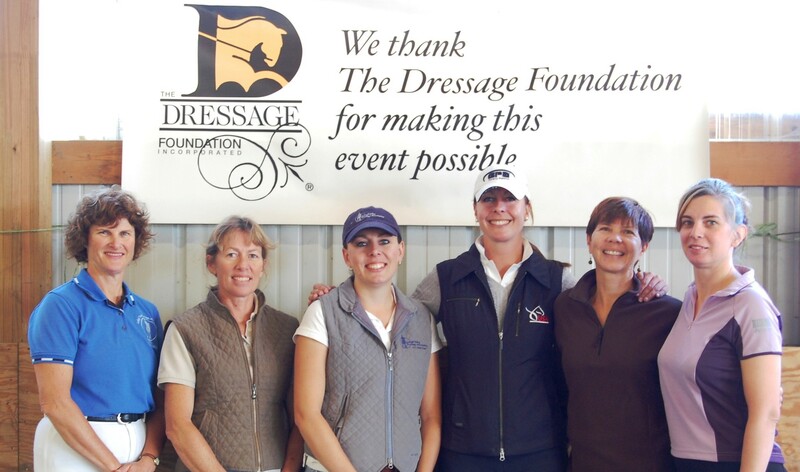 Whereas TDF is, financially, like a bank, emotionally, it’s made up of a group of people like you who are passionate about dressage. We are a little army of donors that seek to “up the game” for riders at all levels. That is, we have grants for young riders, graduate young riders, adult amateurs, breeders, judges, instructors and high performance riders. We want to, bit by bit, change the game across the board. Now, I’ve already mentioned how easy it is to spend money. TDF is the same. It’s really fun to give money away, but those awards depend on donors--big donors and small donors. The big donors of TDF are like the generals, colonels and majors of our little army. They are directly responsible for the grants that TDF is able to award. Some of them are: Carol Lavell, her father Gordon Cadwgan, Maryal Barnett, Renee Isler, Ralph Dreitzler, Anne Ramsay, the Boomer family, Violet Hopkins and others. They are directly responsible for the grants that TDF awards--which was nearly $200,000 last year. These funds that are given as grants and awards are “restricted,” which means they can not be used to pay ordinary TDF operating expenses. Restricted funds are reserved for grant-giving. The smaller donors, who are the captains, lieutenants and foot soldiers in our little army are indispensable because they implement the ideas of our generals, colonels and majors. Some of them add to the restricted funds that are given as awards, but they also help pay for TDF’s operating expenses. Some of the major donors help with operating expenses too. Just as you, in your personal finances, have necessary expenses, the TDF office has printing, mailing, paying our extraordinary staff and professional advisors. The donors who help pay the expenses of operating TDF are extraordinarily important because, without them, we couldn't survive. Now to get back to your personal expenses: Financial well being is within the reach of almost everyone, but it has to do with the buckets of money for saving and for giving away. The one for giving is from-your-heart generosity, and the one for saving comes from your head. Paying yourself is just smart. The US government has provided an avenue for you to become financially comfortable forever--that’s with a Roth IRA. An IRA is an Individual Retirement Account, and the key to its success is to start saving very early in life. If you don’t know what a Roth IRA is, learn about it online. I’m going to give you some examples. Currently, you are allowed to save $5500 per year in a Roth IRA, but even if can you only save $2500 per year, and you start when you’re 21, and the market does its average thing over the next 49 years, you’ll have over $1.5 million--tax free--when you’re 70 years old. If, however, you don’t start saving until you’re 30 years old, you’ll have about $1 million and if you’re 40 years old when you start, you’ll have $475,000, and if you're 50 when you start, you'll have about $125,000. Are you getting the idea? If you don’t know about Roth IRAs, learn about them online and start saving as early as possible. It will make you feel financially whole. And don’t forget about the bucket of money that you give away to a cause that’s greater than yourself. Generosity is always rewarded. It’s the personal quality that somehow magically bounces back to you. The Universe gives to those who give. I wish you all great financial well being and, of course, success with your horses.